The candidates are about to start their preparation for the RPSC RAS Prelims Exam. Candidates are looking for the study materials which cover all the subjects so that they can buy and begin the preparation. There are large numbers of books available in the market RAS which covers all the topics. In this article we have listed down all the names of books subject wise which may help you during the preparation. Rajasthan Public Service Commission (RPSC) every year conducts Rajasthan Administrative Services (RAS) exam for the recruitment purposes in Government sector. The candidates will recruit in various positions like Deputy Secretary, Joint Secretary, Deputy Commissioner, Special Secretary, Head of Department, Additional District Magistrate, Principal Secretary and Chief Secretary etc. at different government departments. The exam consists of three levels and it is important for candidate to qualify in all three levels to get appointment in govt. job. Read the syllabus and exam pattern carefully before begin with the preparation. Plan your study schedule as per the syllabus and pattern of exam. Manage your time to prepare all the topics of the subject in a given time. Prepare short notes of important topics and sub topics. Solve as many previous years sample papers as possible. After the preparation, daily revise the topics to memorize it well. Daily read Magazines and Newspapers for general knowledge and current affairs. Don’t stress yourself. Take some time out for relaxation and other activities. Get more and wide info of RAS 2018 by visiting official website of RAS 2018 Rajasthan Portal. 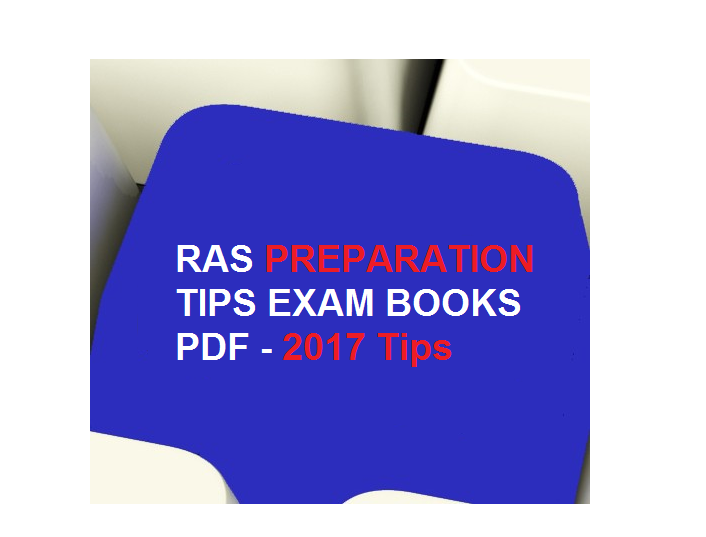 RAS is so much popular and famous examination in Rajasthan, Hence prepare well for RAS Because competition going to be very tough. Discover in yourself the qualities you need. Confirm that you are not a robot, and Look at an amazingprize for victory. How to get bitcoin being at work?